Are you thinking about renovating your kitchen? One of the easiest and most inexpensive ways to update a space is by changing the light fixtures. Light fixtures can make or break a space and easily change a room from drab to fab. With the endless amount of options out there, how do you know which one to pick? If you’re looking for inspiration for your kitchen or just want to know more about what’s out there, keep reading! Below we’ve compiled a list of ten different types of light fixtures that are perfect for kitchens. 1. What Is A Light Fixture? A light fixture, also known as a light fitting, is an electrical fixture that is used to illuminate a space. Light fittings can take the form of many shapes, designs, and lighting intensity. It is also not uncommon for some light fixtures to be remotely controlled. 2. Where Can You Buy Fixtures? You can purchase fixtures in a number of locations. 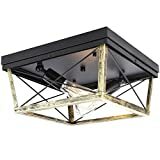 Lighting fixtures are so common that you can buy them at most major physical and online retailers such as Walmart, Target, Costco, Home Depot, Amazon.com, Overstock.com, and more. Our list of ten different types of light fixtures for your kitchen was extensively reviewed and compared across a wide range of sources. Not only did we heavily consider user reviews, but we also wanted to ensure that these fixtures were affordable. Additional criteria we consider in our analysis was as follows: functionality, durability, pros and cons, price, where you can purchase the item, and accessibility. Light fixtures can widely range in price based on the brand name, materials, bulb type, and many other factors. On our list, you’ll see fixtures priced anywhere from around $ all the way up to $$ That being said, it is not uncommon for some lighting fixtures to be much more than $$. Many modern light fixtures that feature on-trend styles such rustic or shabby-chic finishes can quickly jump up to the thousands of dollars price range. Flush lighting is a fixture that is, as the name suggests, flush, or flat, against the ceiling. Flush lighting is a beautiful fixture option for your kitchen if you’re looking for something more discreet. Flush lighting is generally small and as such is most often suggested for smaller and more narrow spaces. Flush lighting can be installed relatively easily especially if you’re replacing an existing fixture. Flush lights are usually between 12 and 24 inches wide and are more discreet than other forms of lighting fixtures. Flush lights should be installed in a room with ceilings less than 8 feet high otherwise the balance of the room may be off. A ceiling fan is a great choice for a fixture for your kitchen and often overlooked. Having a ceiling fan in your kitchen not only offers supreme functionality, but it can also be a striking style and design choice as well. There is a wide range of ceiling fan styles and designs, and they can be made from a wide range of materials including steel and wood. Installing a ceiling fan yourself can be easy, however, many stores offer installation services to assist you. Even Amazon.com has the option to select expert installation at checkout. Ceiling fans are easily mounted especially if you have had a pendant light or inverted pendant light in the spot previously. Black metal baffle trim with metal ring. Recessed lighting is a great way to make your kitchen feel more modern. Recessed lighting, also known as can lights, is a fixture that is mounted into the ceiling. This style of lighting is much softer than other fixtures and brings unrivaled warmth to a room. Recessed lighting can certainly be more difficult for you to install on your own than many other styles of light fixtures. Recessed lighting requires at least six inches of clearance above your ceiling. This is one of the few fixtures that is actually suggested for low ceilings. Track lights are a popular and modern design element that we’re starting to see more and more in today’s homes. 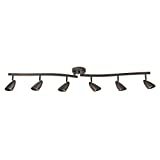 Track lighting is best described as lights either protruding or hanging off a track. Track lighting is a great way to accent a breakfast bar, dining nook, or island. Track lighting can be installed relatively easily mainly due to its single track design. Having multiple lights hanging off a singular base makes installation a breeze. If you’re looking for professional installation, expect to pay around $$. Utility lighting has absolutely no frills. When you select this lighting fixture, you’re not selecting chrome, and frosted glass finishes. Utility lighting is a simple, single, fixture that is installed flush against the ceiling. Installing utility lighting is easy, and it’s meant to be easy. Utility lighting generally includes all of the parts you will need and a manual. Utility lighting is suggested for locations that are not a focal point such as basements, garage, and backyard sheds. Canopy is 16 3/4" wide x 3/4" high. Each glass globe is 5 3/4" wide x 4 3/4" high. Weighs 4.5 lbs. Hang each light at the desired level for an elegant tiered effect. Minimum hang height of 5 1/2" high. Includes six 20 watt G4 halogen bulbs. Pendant lighting is an excellent choice for a kitchen. Pendant lighting is a beautiful accent fixture that generally spotlights a kitchen table, island, or countertop. The best part about pendant lights is their versatility. 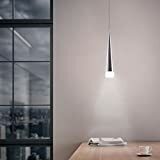 There are hundreds of designs and styles of pendant lighting that make your design options endless! Installing pendant ceiling lighting can be easy, especially if you already have a flush lighting fixture in place. 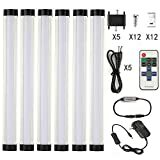 Adding more than one hanging light in a place where you have one light already is much easier and much more affordable should you wish to pay for professional installation. Pay special attention with these lights at install because you can alter the hanging height to meet your particular preference. It’s much easier to alter the height during installation than after. Are you looking for an ultra-modern lighting fixture for your kitchen? You may want to consider LED indirect lighting. LED indirect lighting mounts the fixture around your ceiling, giving you complete and even illumination. Installing LED indirect lighting is one of the easiest lighting fixtures you can install yourself. Many LED indirect fixtures don’t require screws or power tools at all! Most LED indirect lighting simply has a peel and stick backing allowing it to stick to various surfaces at almost any angle. One of the easiest ways to make your dining or kitchen area much more upscale is by installing a chandelier. A chandelier is a beautiful lighting fixture that has been popular for centuries. Just make sure wherever you hang your chandelier that you’re okay with having that be the focal point of the room. When installing a chandelier there are a couple of things you’ll want to keep in mind. First, it’s essential that your chandelier be at least thirty inches above your dining room table. Any higher and the room will look poorly proportioned and any lower and you can easily dwarf the room. Second, it's vital that if you install the fixture above a dining table that it be half the width of the table itself. Chances are you’ve seen an inverted pendant light and not known what it was called. An inverted pendant light is exactly like the name suggests, it is an inverted pendant light that generally features a bowl as the pendant. Some retailers refer to this style of light as a bowl pendant. Inverted pendant lights can be more challenging to install. Not only do these lights feature a generally heavy, bowl-shaped, pendant, but they are also often delicate in design. Don’t be afraid to opt for Amazon’s professional installation services for around $ per lighting fixture. Island lighting has become a standard in most American homes. Having a hanging light above your countertop or island is a great way to bring warmth and design focus into a room. Just make sure you have someone help you hang each light so they hang uniformly. It’s much harder to adjust heights after the fact. Installing island lighting can be easy depending on your level of knowledge and the tools you have at your disposal. When installing island lighting, it’s important to remember that hanging fixtures too high and too low affect the overall appearance of a room. Don’t be afraid to ask a loved one, friend, or even a neighbor to help you keep things level. Changing the light fixtures in your kitchen can completely transform your space. Not only is it one of the most affordable and transformative design changes you can make, but it’s also one of the easiest ones you can do yourself. Just remember to select a fixture that not only matches the size of your room but provides you the amount of lighting you need. As silly as that may sound, it is something that is often overlooked. No matter which light fixtures you select as your inspiration, never be afraid to ask for installation help. Whether you’re looking for LED’s, ceiling fans, flush lighting, or pendant lighting, there’s a kitchen light fixture just perfect for your budget, installation ability, and personal style. Be safe and happy renovating.